I love using my Pampered Chef products and love sharing them with my customers. 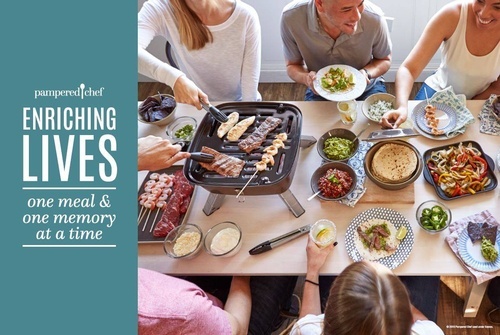 Together we bring a wide assortment of quality kitchen tools to your door to meet many needs for entertaining and cooking, from small gadgets to stoneware, to cookware, and anything in between. We can show you quick and easy ways to prepare meals or some great treats, to promote more time with loved ones. We do Bridal Showers, Fundraisers, catalogue shows and kitchen shows. Every month we have guest and host specials to acquire more of what you love. Please contact me to find out more, so I can share with you the love I have for Pampered Chef, so we can bring friends and family together for a taste of what we can do for you.